As we come into spring-time and lambing season, visiting a farm is an enjoyable and educational experience for many people, particularly children. Following an investigation involving Highland Council Environmental Health Officers, a Lochaber based shellfish company has been prosecuted for food safety offences. A state-of-the-art drinking water tap was launched today in the capital of the Highlands, marking World Water Day. We’ve bridged the gap between our Gaelic past and an A-List future! 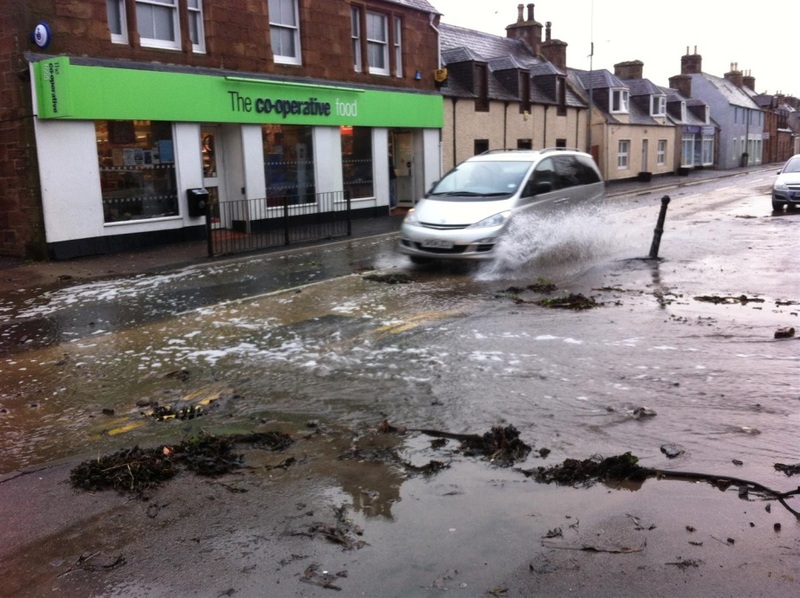 People in Golspie are invited to attend a public exhibition highlighting results from an ongoing study into the risk of flooding along the Golspie coast. 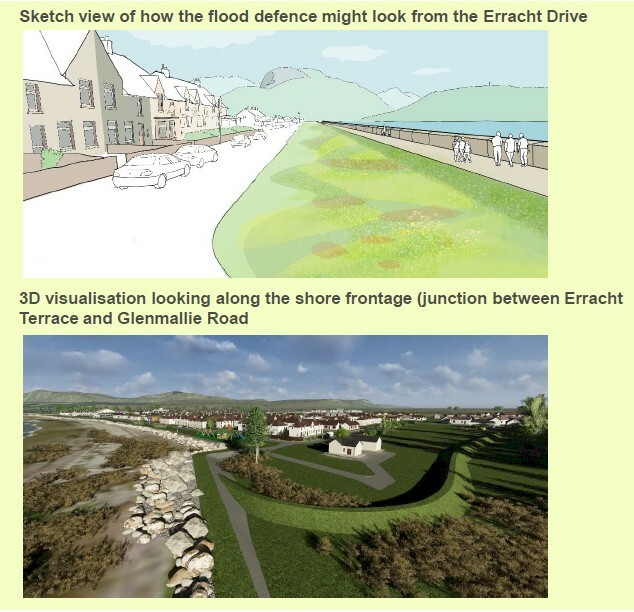 A provisional date for the Caol and Lochyside Flood Protection Scheme hearing has been set. Highland Council has given the public a further 28 days to share their views and comment on the proposal for a new Materials Recovery Facility (MRF) at the Longman landfill site in Inverness. It’s a Recycling Centre, not a dump! 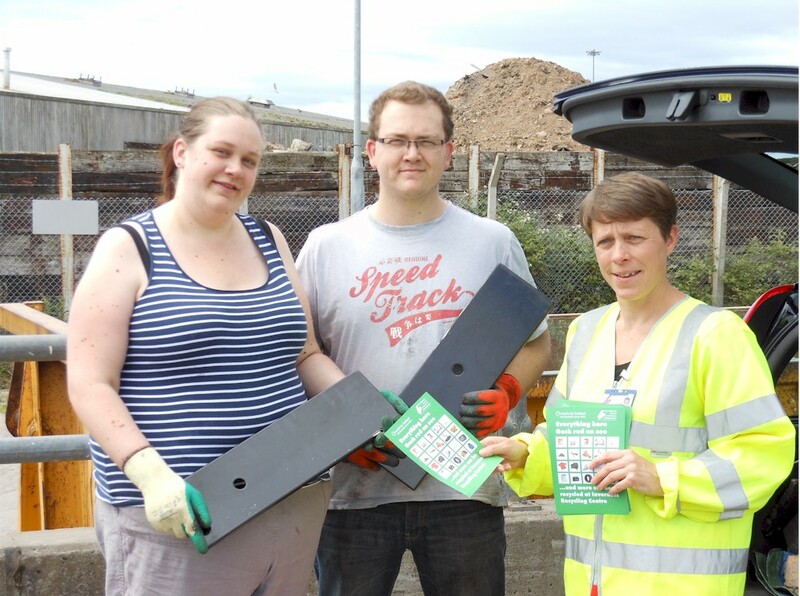 Highland Council residents are being urged to remember to recycle when they visit Recycling Centres. Two public engagement events have already been held as part of the initial work to prepare a Development Plan for the Links. The high point of the year for celebrating the local heritage of the Highlands starts on Friday 28th September. For three weeks, the Highland Archaeology Festival will offer throughout the Highlands a range of walks, talks, workshops, exhibitions, the annual conference, special children’s activities and other events for all ages. Further to The Highland Council’s advice to private water supplies users on 10th July, the Scottish Government has now implemented an emergency assistance scheme given the severe drought conditions. Highland Council is reminding private property owners and landlords of tenants on private water supplies that it is their responsibility to arrange for water to their properties. We have been made aware of an unfortunate incident involving the death of a family pet from suspected ingestion of blue-green algae on the River Conon. Council has agreed a number of recommendations to include the phasing out of single use plastics from its sites and schools in an effort to exceed statutory requirements, at its meeting on 28 June. Calling all traditional building owners…..free maintenance booklet! 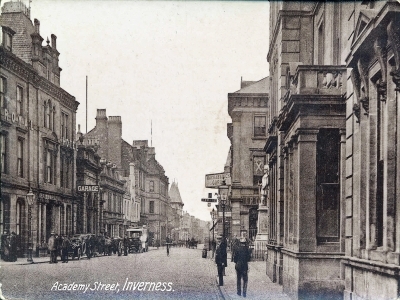 The Inverness Townscape Heritage (TH) Project has launched a free Maintenance Booklet for owners of traditional properties within the City of Inverness. Transport Consultants AECOM have been appointed by The Highland Council to prepare design options to improve the ‘Riverside Way’ in Inverness. 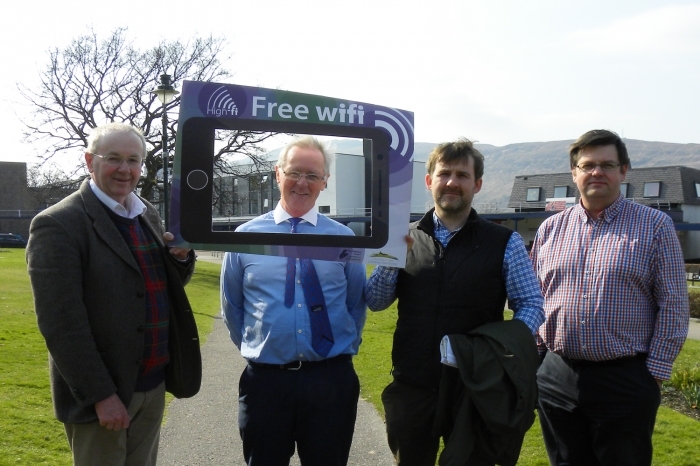 FORT WILLIAM now has access to free WiFi in and around the centre of the town thanks to a project led by the Highland Council and funded by the Inverness and Highland City-Region Deal. Environmental charity, Keep Scotland Beautiful, has announced that 12 beaches in the Highlands have received Scottish Beach Awards in 2018, recognising the high standards provided to users - from keeping sand litter free to providing excellent information and accessible amenities. 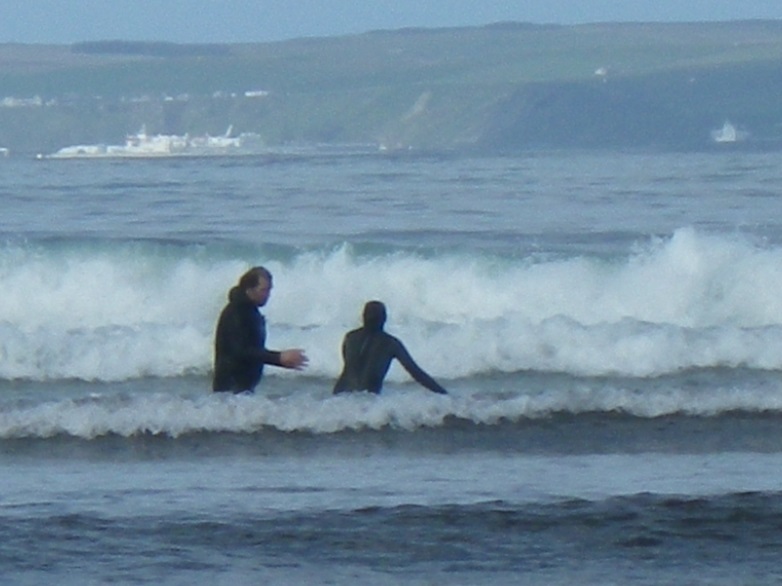 The Highland Council is looking for new members to fill its vacancies on the six local outdoor access forums in Caithness, Sutherland, Ross & Cromarty, Inverness & Nairn, Skye & Lochalsh and Lochaber. Highland Council's Environmental Health team has identified raised levels of naturally occurring algal toxins following routine monitoring at Loch Eishort (Skye), Lochs Beag and Ailort (Lochaber) and Loch Laxford (Sutherland). Highland Council's Environmental Health team has identified raised levels of naturally occurring algal toxins following routine monitoring at Loch Eishort (Skye) and Loch Beag (Lochaber). HIGHLAND needs a waste management solution that is Sustainable, Affordable, Friendly to the environment and Efficient (SAFE). The Highland Council has today agreed to lead the way in reducing the impact of plastic on our vast coastline. Next week Highland Council staff from the Development and Infrastructure Service will be meeting a group of Icelandic delegates to look at the work that has been carried out on Sustainable Urban Drainage systems (SUDS) in Inverness. One of Inverness’ iconic thoroughfares is set to close for three months while it undergoes a much-needed transformation. Rural tourism support - Island projects first to be backed under new £6m fund. 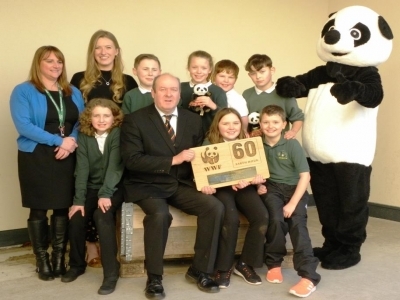 The Highland Council is again celebrating after being awarded WWF Scotland's Earth Hour Local Authority Runner-up Award for its contribution to the success of Earth Hour in 2017. The Highland Council is set to make it easier for the public to report incidents of fly tipping and be advised when action is taken. The Highland Council achieved a 6% reduction in its year-on-year carbon emissions in 2016/17, equivalent to a saving of over 4,000 tonnes of CO2. 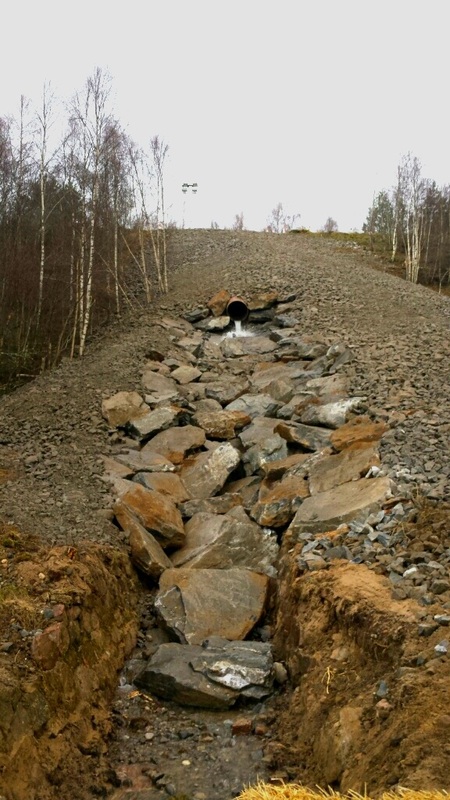 The Highland Council and Pitmain Estate are pleased to announce that the final phase of the work to construct the Kingussie Flood Alleviation Channel is now underway. Highland Council’s Ranger Service and Volunteer Cairngorms need you on Saturday 30 September at the rôche moutonnée site in Dulnain Bridge. Two Highland businesses have successfully secured funding through the Highland & Moray Fisheries Local Action Group (FLAG) to boost business and create jobs in their local area. The Highland Council is planning to install a Hydro Electric Archimedes Screw at Whin Park Lade. 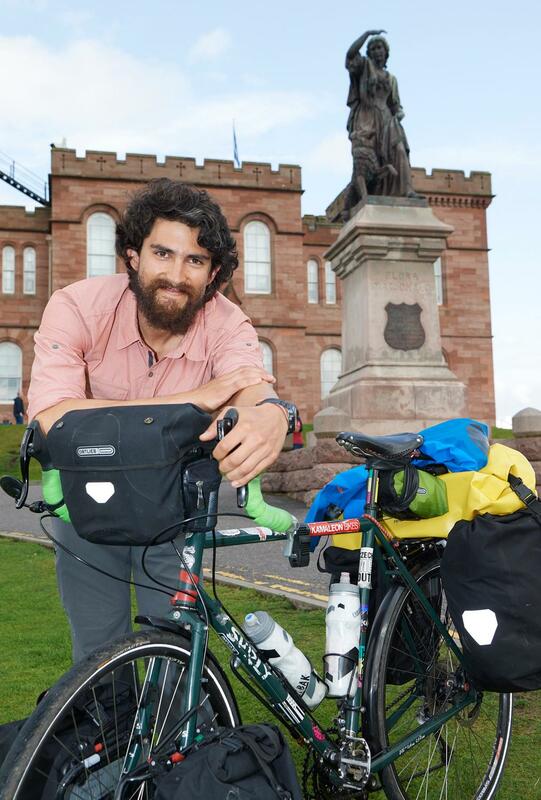 “Don’t drop your litter and spoil this beautiful scenery!” is a message from a Chilean cyclist travelling on the NC500 in the Highlands. Cllr Alan Henderson, Chair of The Highland Council Places Committee takes first walk across the new bridge spanning the River Ness and connecting communities in the north and south sides of the river. The Provost and Leader of Inverness and Area Cllr Helen Carmichael met yesterday (12 July) at Ness Bridge in Inverness with Mike Smith Inverness BID Manager and Claire Marcello of High Life Highland to celebrate the 2017 city centre floral displays. The Highland Council is pleased to announce that it has signed an agreement with Pitmain Estate in Kingussie to jointly fund the building of a flood alleviation channel on land within the estate. 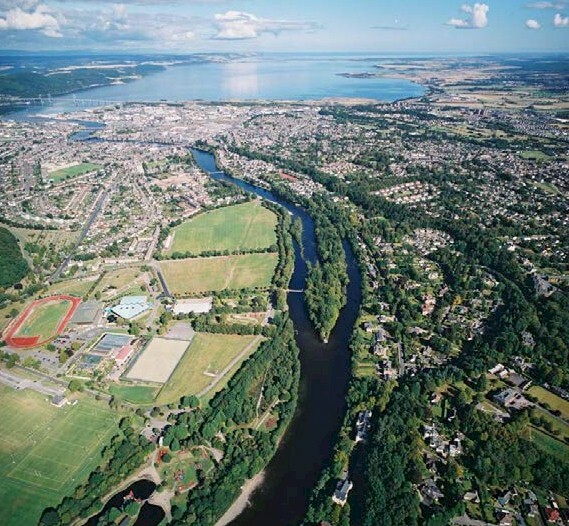 Highland Council major remedial works involving trees, paths, bridges, and banks will start at the Ness Islands, in Inverness in April and continue for around 8 months. Highland Council is once again proud to be taking part in WWF’s Earth Hour and is leading the way in supporting the event throughout the region. The Highland Council held a public drop-in session yesterday in Inshes Church, Inverness to provide outline plans for the next phase of development for Inshes District Park. The Highland Council has launched an architectural competition for the development of three visitor information shelters at key entry points to Wester Ross; Achnasheen, Lochcarron and Braemore. The Nairn bathing waters stakeholder group has noted the SEPA news that the bathing water classification for Nairn beaches will remain in the ‘poor’ category for 2017. Highland and Moray fishing communities are being encouraged to apply for a share of £1 million pounds of European Funding to support the sustainable development of fisheries areas. Join the local Countryside Ranger to discover more about the bats found living in Laggan on Friday 23 September from 7.30pm to 9pm. 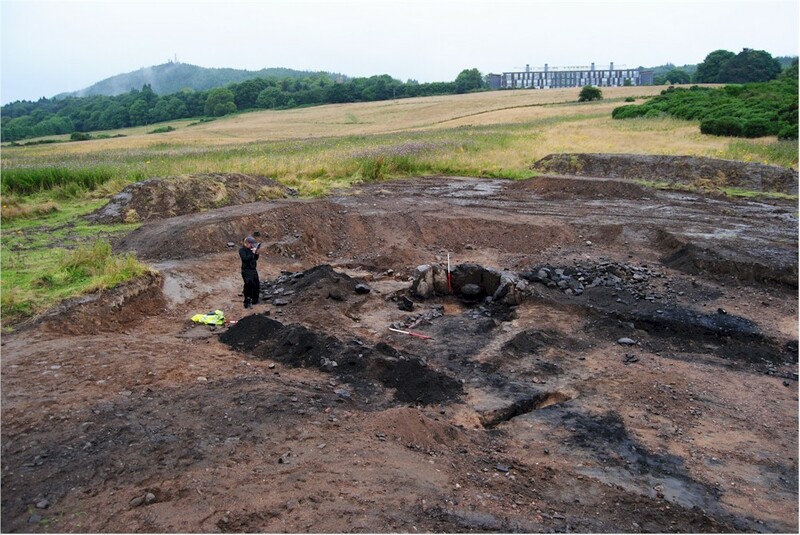 As the fieldwork underway along the West Link route in Inverness draws to a close, a prehistoric arrowhead is just one of the intriguing artefacts of archaeological interest that have been uncovered. The Highland Council is warning the public of the presence of an algal bloom at Loch Watten, Caithness. Big Park Big Questions – what does the future hold for the Cairngorms National Park? Big Park Big Questions is the consultation on the next Cairngorms National Park Partnership Plan (NPPP) for 2017-22. 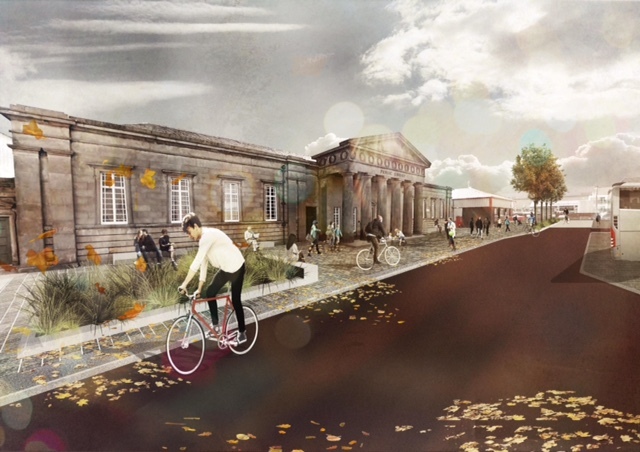 Historic Environment Scotland (HES) has announced investments of over £1.7 million to repair historic buildings around Scotland, including £361,000 for Inverness Town House. The Highland Council has met with SEPA, Scottish Water and representatives of Nairn community to discuss water quality issues for Nairn Central and East Beaches. Update on Gas incident at Carrbridge Hotel - Friday 21st April 2016. Officers from Highland Council’s Environmental Health team are carrying out detailed investigations into the cause of carbon monoxide poisoning at the Carrbridge Hotel on Friday 21st April 2016. Join Highland Council’s local Countryside Ranger on a meandering walk up the river from Nairn to Cawdor on Wednesday 3 April from 11am to 3pm. To support north coast local communities, a new marine plan for the North Highlands’ coast has just been completed. 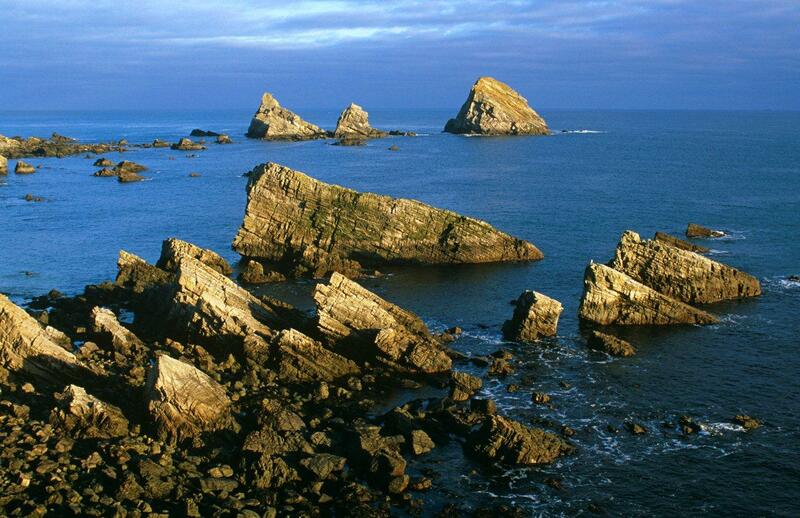 UNESCO Announce Wester Ross Biosphere. UNESCO, The United Nations Educational, Scientific and Cultural Organization, has awarded Biosphere Reserve status to Wester Ross. 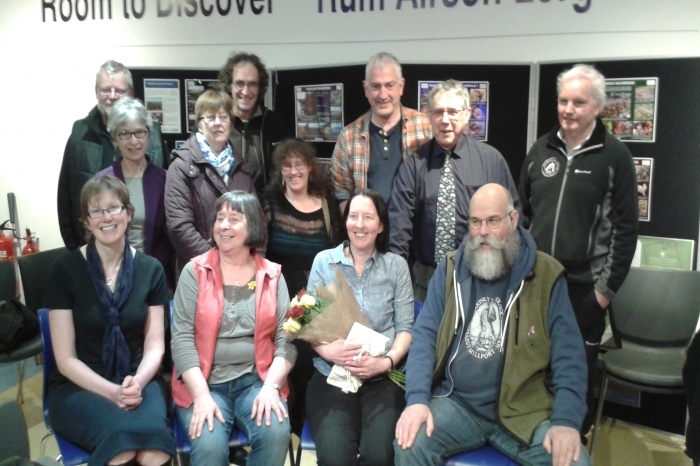 A three year project that began early in 2013 drew to a close over the weekend (Saturday 19 March) with one last event in the Inverness museum. A strategy to tackle wildlife crime for the next three years has today [Monday 14 March 2016] been launched in the Highlands. Three Sutherland community groups have been awarded funding from the Council for projects which will reduce the carbon emissions, and tackle climate change in the region. The Highland Council has awarded a contract to A & w Sinclair for the delivery of environmental improvement works at Dunnet Bay and Dunnet Head. Branching Out is an innovative, multi-partner, referral programme of woodland activities for people using health services in Caithness. Highland Council Countryside Rangers are inviting families and individuals outdoors for some volunteering fun and to join in with a new volunteer programme working in the woods for the benefit of everyone on Sunday 31 January. Local residents and visitors to Chanonry Point on the Black Isle are reminded that improvement work will start on Tuesday 5 January so access to the popular site will be temporarily restricted. 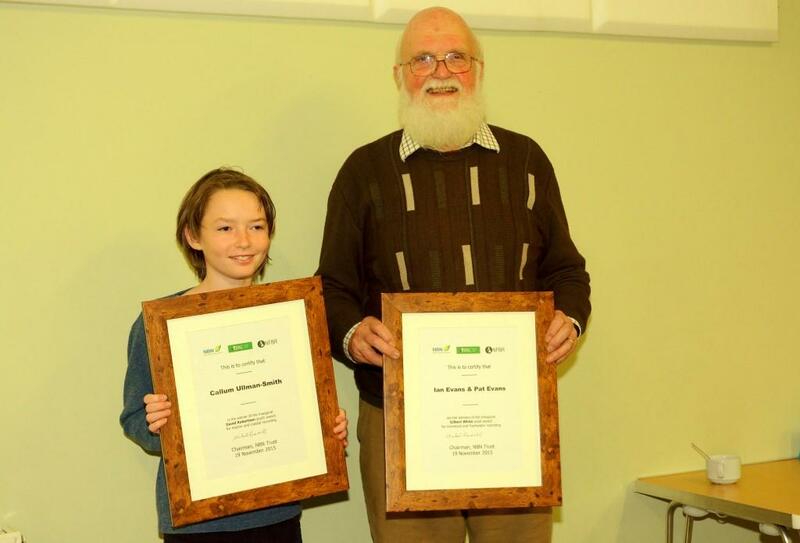 Two Highland-based wildlife enthusiasts have been honoured with awards by the National Biodiversity Network Trust at a ceremony in York on 19th November. 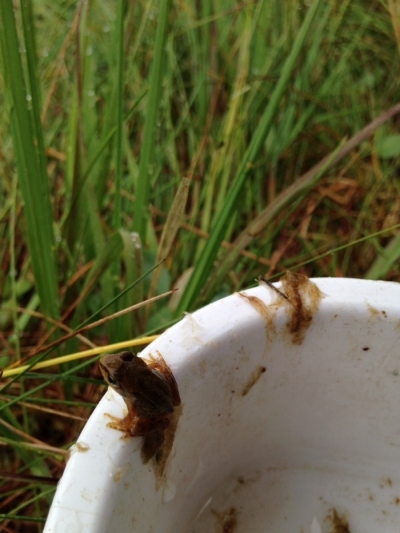 Raingardens and City Frogs - It turns out we have lots of both in Inverness! Bower Primary school P4-7 children have being learning about ‘Wildlife and Habitats’ this term. UNESCO – the United Nations Organisation for Education, Science and Culture –announced a new programme on the 17th November, which creates UNESCO Global Geoparks. 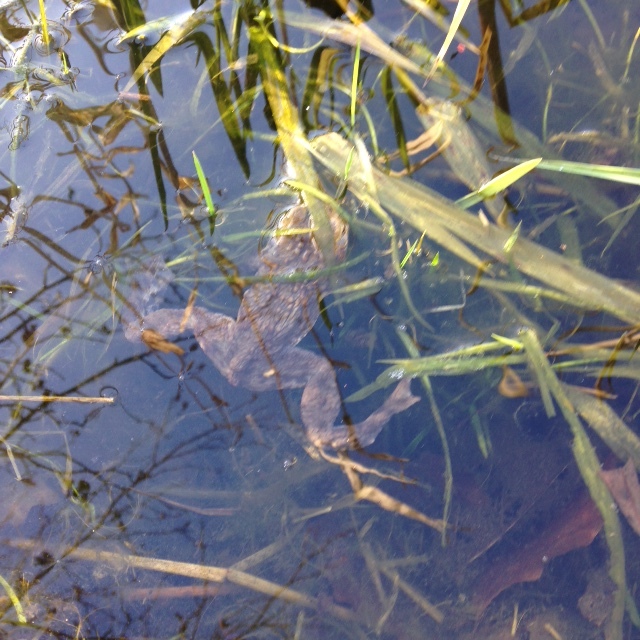 Highland Council graduate research assistant Marcia Rae has been investigating the presence of amphibians in Inverness Sustainable Urban Drainage (SuDS) ponds and the results will be presented at the first ever Inverness SuDS Conference on Friday 27th November. 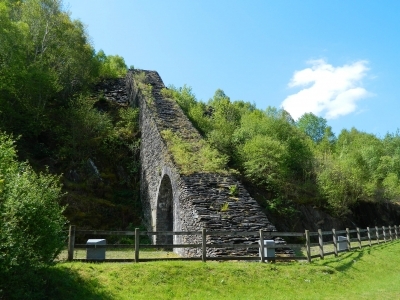 The Cemetery Path through Ellan Wood near Carrbridge will be reopened after work is carried out to remove traces of asbestos from the surface. 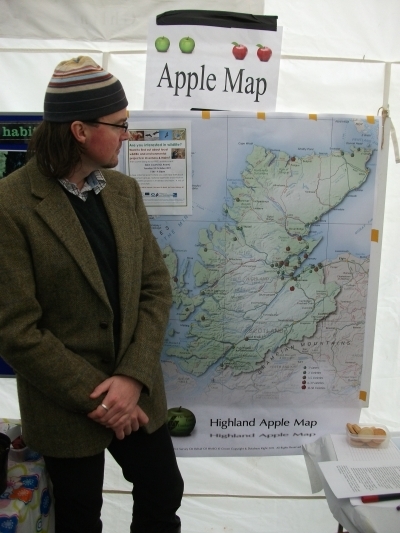 The Inverness Apple Day 2015 held on Saturday (24 October) at Inverness Botanics was a great success with 170 people attending this special event organised by The Highland Council. The Highland Council’s Countryside Rangers are inviting people to come and relax on a peaceful wander near Aviemore where the full effect of the Autumnal colours can be enjoyed. 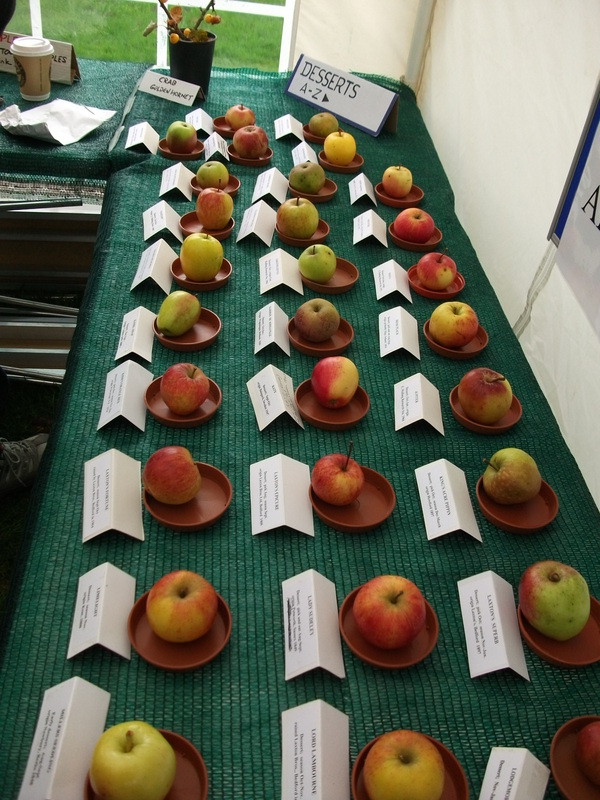 The preparations for the Highland’s second Apple Day are almost complete. For those attending the delights of pin the maggot on the apple, who can peel the longest peel and freshly squeezed apple juice await. 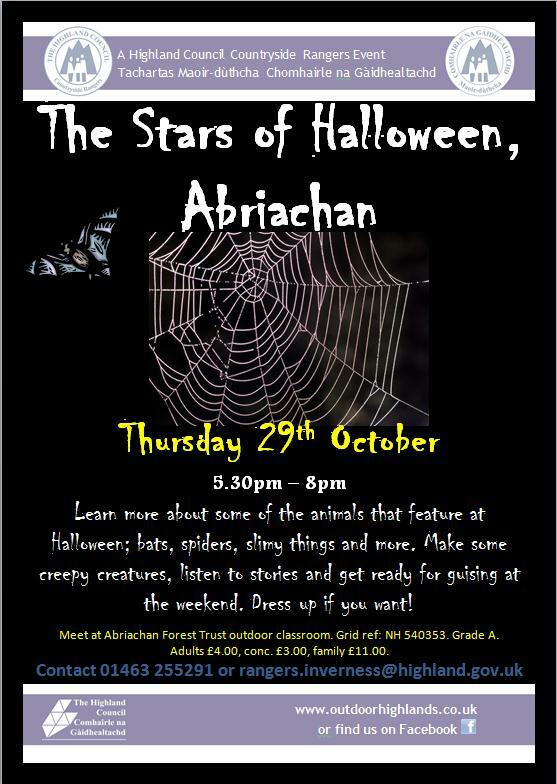 A Halloween event with a difference is happening at Abriachan at the end of the month with The Highland Council Rangers hosting an outdoor animal themed evening of fun and games in the woods. The twenty-second Highland Archaeology Festival gets underway at the end of this week (Friday 2nd October) with another packed programme of events across the Highlands. A new plan to help wildlife was launched today (23 September) at the Highland Environment Forum’s September meeting in Inverness. The Highland Council has appointed local contractor Corrie Construction to undertake the installation of two new bridges on the Great Glen Way at Inverlochy. The Highland Council Countryside Rangers are inviting people outdoors for an evening walk at Merkinch Local Nature Reserve in Inverness on Friday 28 August to celebrate European Bat Weekend. This weekend The Highland Council’s Countryside Rangers are running a guided walk exploring Glen Strathfarrar in Inverness-shire, one of the most beautiful Highland glens. Now in its 12th year, multi-agency partners are seeking to ensure another safe event at the Belladrum Tartan Heart Festival 2015. The Highland Council-led Carbon CLEVER initiative, in partnership with Pat Munro Waste Services is aiming to make Belladrum the first zero waste to landfill festival in Scotland. 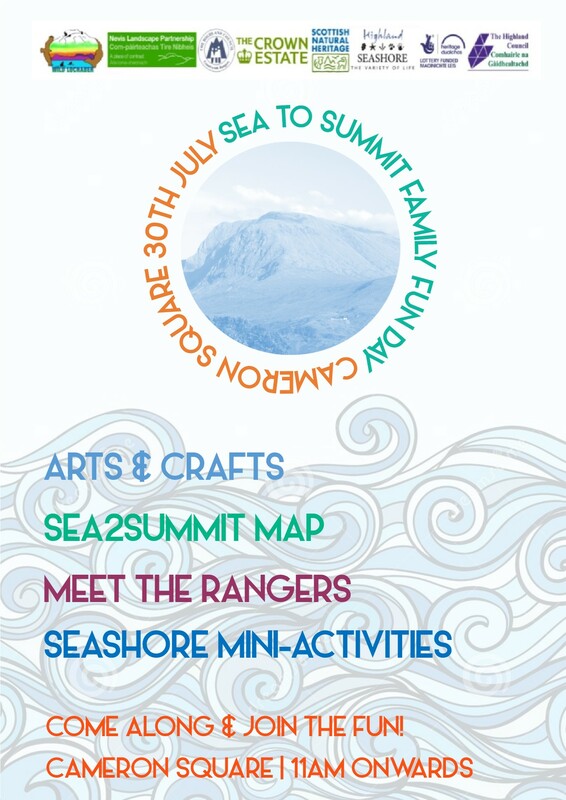 The Sea to Summit Project is an arts project involving Lochaber schools and highlights the connections between the mountains and the seashores which characterise Lochaber. 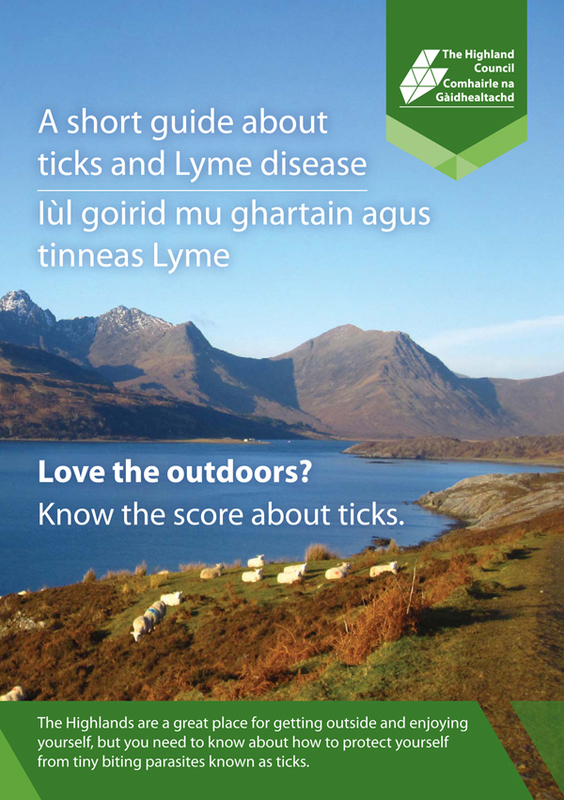 Highland Council Environmental Health is raising awareness of the dangers from ticks, in particular the serious illness known as Lyme disease which can be transmitted to humans through a tick bite. 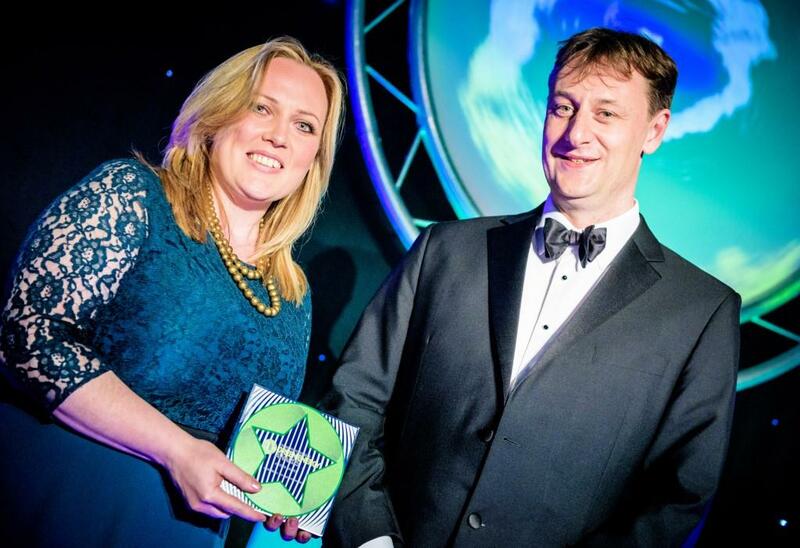 A partnership programme bringing major energy savings to hard-to-treat properties in fuel poverty parts of the Highlands has won ‘project of the year’ in national award. Something fishy is going on as The Highland Council Countryside Rangers team up with Ness and Beauly Fisheries Trust to look at life in our rivers and in the Beauly Firth. The Highland Council’s Environmental Health Team based on the Isle of Skye has identified raised levels of naturally occurring algal toxins, following routine sampling work at a number of sites on Skye. 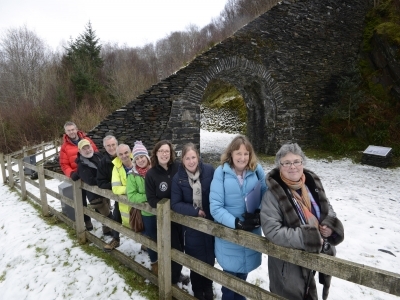 The agencies involved in investigating and dealing with the discovery of asbestos on a popular woodland path in the village of Carr-Bridge have met to discuss progress. 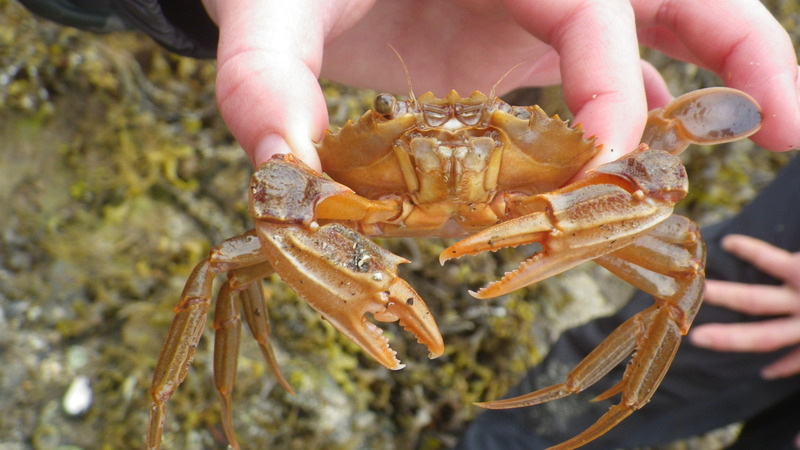 The Wester Ross Environmental Network has been working with the Highland Seashore Project to bring a one-day wildlife-themed festival to Wester Ross as part of this year’s Ullapool Pier Day which takes place on Saturday (11 July). The Highland Council has updated school head teachers, staff, parents and local Highland Council members on the outcomes of radon monitoring in three of its schools. The path has been closed at Ellan Wood Carr-Bridge. The Highland Council Rangers are inviting families to join in the fun at an event they are holding next week at a Loch between Aviemore and Carrbridge. Belladrum Tartan Heart festival, which has a “superheroes” theme this year, is delighted to announce that it has furthered its own local superhero credentials through partnership with the Highland Council’s Carbon CLEVER initiative. A free book has been launched inspiring young readers about Scotland’s coast featuring a selection of artwork, stories and poems in English and Gaelic by Highland school pupils. Copies of the paperback book, ‘Beside the Sea’ are to be given out to all Highland schools. The Highland Council’s Countryside Rangers in Badenoch and Strathspey are inviting people to join them to discover more about two boggy areas close to the centre of Grantown - the Mossie to the North of Grantown and the large bog in the centre of Anagach woods. The Highland Seashore Project has visited the unique shores around the Plock of Kyle a number of times these past three years, but on the 13th June there was a very special workshop for the projects Volunteer Seashore Surveyors. Data analysed from the Census shows that 5.6% of journeys made to work by Inverness workers are by bike, the highest of the 7 Scottish cities. If you were watching BBC’s ‘Springwatch’ programme on Thursday night, you would have seen something quite alien lurking under the waves of Loch Duich in Lochalsh, Highlands. A beastie called the Pink Spotted Sea Cucumber (Psolus phantapus). The Highland Council Rangers have a varied series of events coming up over the next week or two, each exploring different aspects of the great outdoors from forest and coastal walks to a conservation task to help a very rare butterfly. As many Tain walkers will know work has well and truly started on the Alexandra Bridge at Tain links. In fact, right now the bridge deck and the supporting hangers aren’t there at all - they have been taken down and removed for cleaning and restoration work. 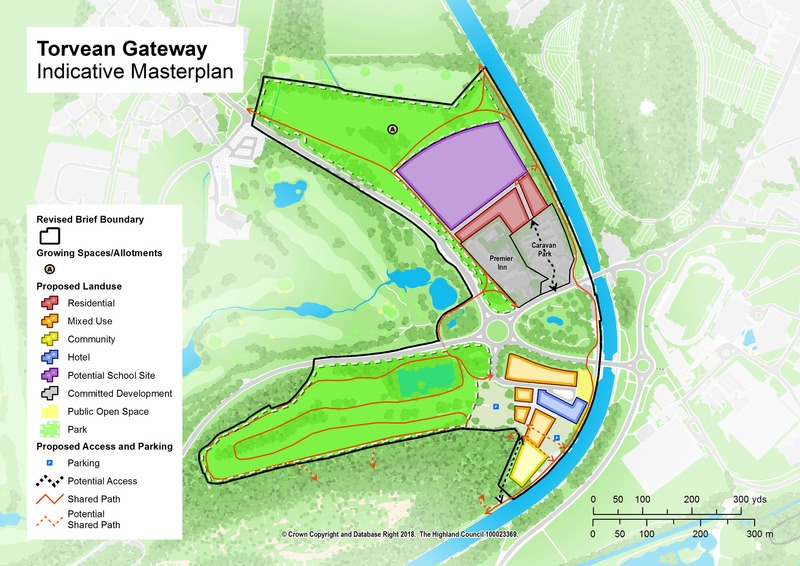 A three-year updated management plan for the popular Ness Islands amenity area on the River Ness, Inverness has been endorsed by Members of The Highland Council’s City of Inverness Area Committee. The Highland Council Rangers have several events coming up next week in the Inverness area, each exploring different local habitats. The Highland Council is reminding people that there is still time to pass on their comments as part of the first ever national consultation on the future management of flood risk in Scotland. The Highland Council has awarded a new contract to the Highland Environmental Network (HEN) to publicise environmental information to Highland individuals and organisations. After a fantastic day of fun at Keiss Harbour last year, The Highland Council Countryside Rangers are going for the double on their Seashore Shenanigans event this year. As part of the Wild Lochaber Festival the second Glenuig Seashore Festival will take place on Sunday 17th May. This is will be a lovely relaxed free family event in a fabulous seashore venue. Members of the Caithness Countryside Volunteers took refuge from the bitter winds on Sunday (3rd May) by working within the walled woodland garden of the Castle of Mey. The volunteers assisted head gardener and fellow Caithness Countryside Volunteer, Andrew Glaister, with weeding of the Giant Yellow Tibetan Cowslip, Primula Florindae. The Highland Council and Lochaber Fisheries Trust are pleased to confirm that, so far, eradication of North American Signal Crayfish in Ballachulish Quarry appears to have been successful. The Highland Council is submitting an application on behalf of the City of Inverness to the European Green Leaf Award. 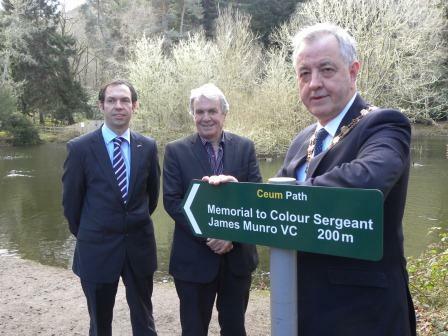 Signage has been erected to help lead pedestrians to the grave of Victoria Cross recipient Colour Sergeant James Munro in Craig Dunain Hospital Cemetery , Inverness. The Highland Council is helping to build a brighter future by supporting WWF’s Earth Hour, a spectacular and symbolic lights out event that focuses the world’s attention on our planet, and the need to protect it. Following a yellow "be aware" weather alert for the Highlands for today and tomorrow (9th & 10th March), the multi-agency members of the Highlands & Islands Local Resilience Partnership are advising the public to be vigilant of 80mph winds, heavy rain and possible snow on higher ground. 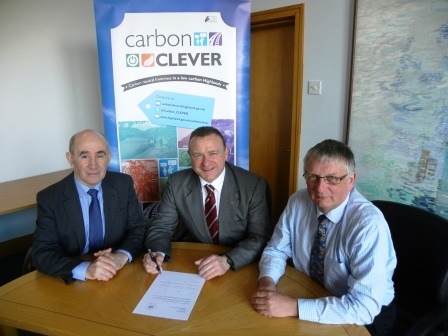 Members of The Highland Council’s Resources Committee have today agreed proposals to localise the Carbon CLEVER Community Grant Fund in 2015/16. The Highland Council Countryside Rangers in the Inverness area are kicking off their events this year by celebrating World Book Day. Every year, Countryside Rangers throughout the Highlands of Scotland create and deliver hundreds of events, walks, and activities for the locals, tourists and groups of people. From walks, talks, workshops, scrambles, hill walks, day walks, pond dipping, sand castle building and much more, there is something for everyone to spend a day or a couple of hours with any of the Rangers and discover so much more. Scottish Water's national campaign to urge customers to ‘help keep the water cycle running’ is targeting customers in Inverness, Dingwall and Thurso. Showing visitors red kites, recording wild flowers, monitoring mink or getting active in your local community woodland will be just some of the many and varied conservation volunteering opportunities you will be able to learn about at the Easter Ross Biodiversity Forum on Thursday 19th February. The work of Highland Council’s Countryside Rangers was welcomed today (Wednesday 4 Feb) at the Skye, Ross and Cromarty Area Committee as Members gave their support for the wide range of work done by the Rangers and also gave their approval for the 2015/16 programme of events across the area. People in Cromarty are being invited to a public meeting to hear about Highland Council’s works at Cromarty School and the movement of soil containing New Zealand Flatworms. 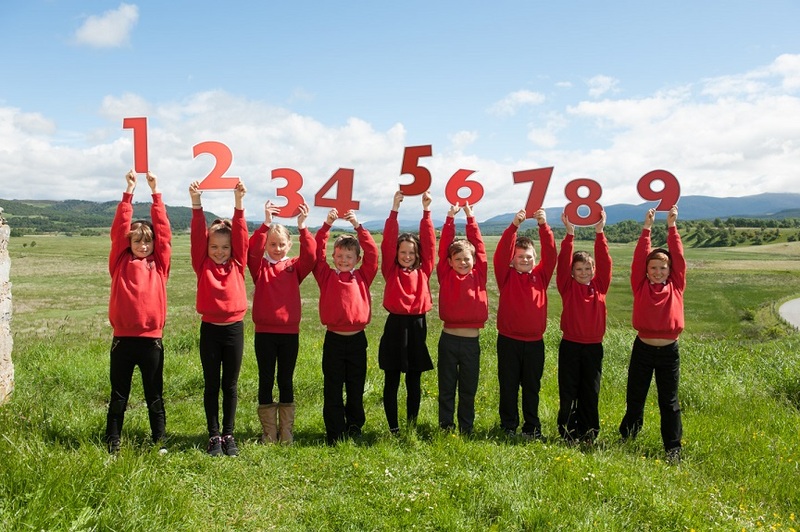 The Highland Council has updated school head teachers, staff, parents and local Council members on the outcomes of radon monitoring in Ardnamurchan High and, Spean Bridge and Strathdearn Primary Schools. 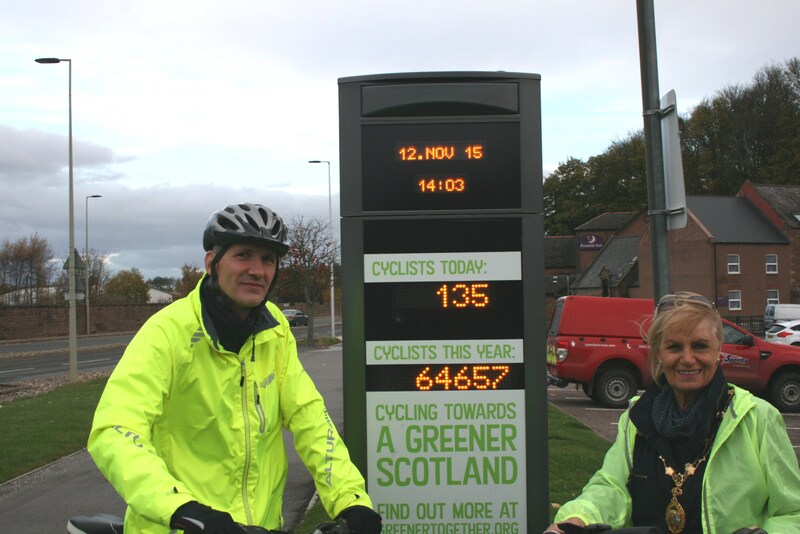 Highland Council has saved a total of over £476k and cut carbon emissions through reduced business mileage over the past 4 years. 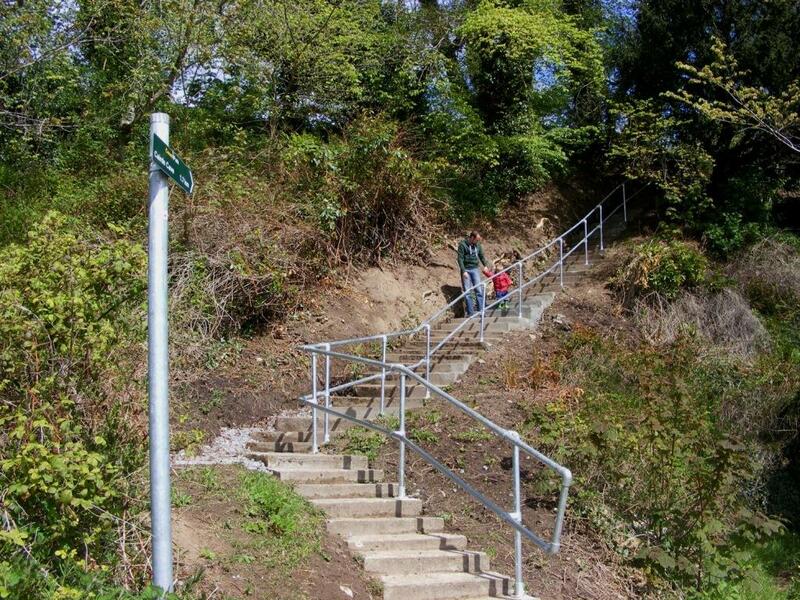 The Highland Council is to ask people living in and around Stratherrick and Foyers for directions to the future of outdoor access in their local community. The Leadership of Highland Council has turned up the heat on OFGEM and called for action against unfair surcharges which make electricity costs higher for consumers in the Highlands and Islands. This September, The Highland Council is supporting the Pledge4Plastics campaign, which aims to get recycling back on the household agenda. The Council and its Public Private Partnership (PPP) schools partner has commenced short-term monitoring at the remaining schools within the schools PPP1 contract. Councillors have welcomed the decision of the Court of Session to put the application for a waste to energy plant in Invergordon back to the Reporter. As part of The Highland Council Caithness Countryside Ranger summer activities sixteen children spent a morning at the Seadrift Visitor Centre in Dunnet Bay creating their very own masks using everyday household items. SEALL (Skye Events for All) has announced its programme for the Skye Festival (Fèis an Eilein) which runs across the whole of July and August in the Sleat Peninsula in the south of the Isle of Skye . 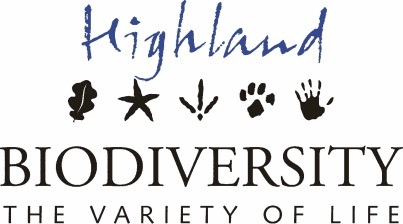 The Highland Council’s Rangers are inviting families to come and join them at Revack Estate in Badenoch and Strathspey on Wednesday 16 July to look for creatures living under the water. The Giant Hogweed on the Auldearn Burn used to be a noticeable feature on your drive along the A96 heading out of Nairn. 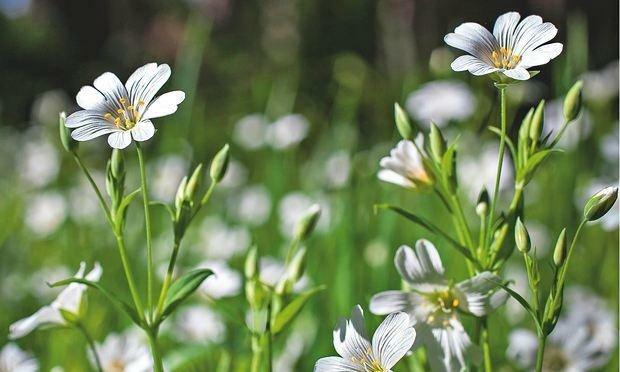 People living in the Merkinch area of Inverness are being invited to come along to their local nature reserve next month to lend a hand and improve their local environment. On Monday (16 June) seventeen individuals from six countries met with community groups and projects across Lochalsh. This week is national Recycle Week which gives us all the perfect opportunity to think how we can do a little bit more to reduce our waste and ‘Recycle for Highland’! This year The Highland Council’s focus for Recycle Week is Recycling Centres and reducing the amount of waste that householders landfill at the sites. It was chips ahoy at Dogs Trust, the UK’s largest dog welfare charity, from 6-10 June as the charity held five days of microchipping events in The Highlands. The Highland Council Countryside Rangers are inviting families to celebrate Father’s Day in the outdoors this coming weekend at two events in Abriachan and Ardersier. Highland Council's Environmental Health team have identified raised levels of naturally occurring algal toxins following routine monitoring at Loch Laxford, north west Sutherland. Eating shellfish such as cockles, mussels, oysters or razor fish from these areas may pose a health risk. Police Scotland Highland and Islands Division are seeking to reassure the public that enquiries are still ongoing into a wildlife crime investigation regarding the death of birds of prey in the Ross-shire area. Last week Cromarty primary held their second Eco Day of the session. Pupils joined The Highland Council Ranger Martin Hind for a beach clean and managed to fill lots of bags of litter. 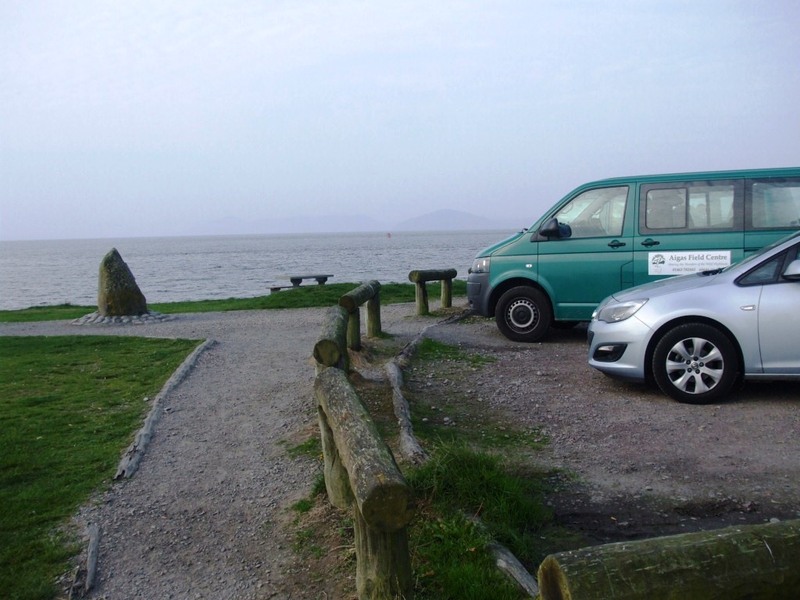 We are planning an exhibition of draft proposals for the environmental improvement of the Chanonry Point car park. The independent charity Keep Scotland Beautiful has praised the record-breaking 126 community groups across Scotland that have signed up in response to its 2014. The £9.3 million second phase of the River Ness Flood Alleviation Scheme in Inverness is under way. 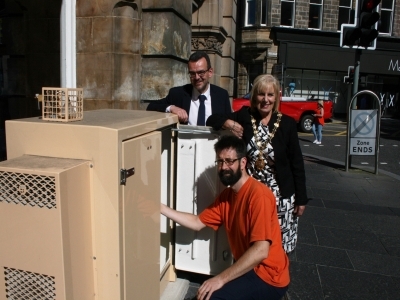 Council and E.ON energy savings partnership expands to Raigmore, Inverness. The Highland Council and partners E.ON Energy Solutions have written to 60 home owners in the Raigmore area of Inverness to offer energy saving improvements that will help save energy and money. On the 31st March and 1st April people may have been surprised to see a collection of Highland Council Ranger and National Trust for Scotland vans parked at Ashaig and Plockton. The Highland Council Countryside Rangers in Caithness will be running three events over the Easter holidays for local families and visitors to enjoy. The Highland Council today (Tuesday) welcomes the commencement of the High Hedges (Scotland) Act, which brings into being new powers to resolve high hedge disputes between neighbours. The Highland Council’s Countryside Rangers are inviting people to join them on a guided walk to “Find the Findhorn” on Sunday 6 April. Works will commence this week on the installation of solar photovoltaic (PV) panels at the Inverness Victorian Market which is owned by the Inverness Common Good Fund. 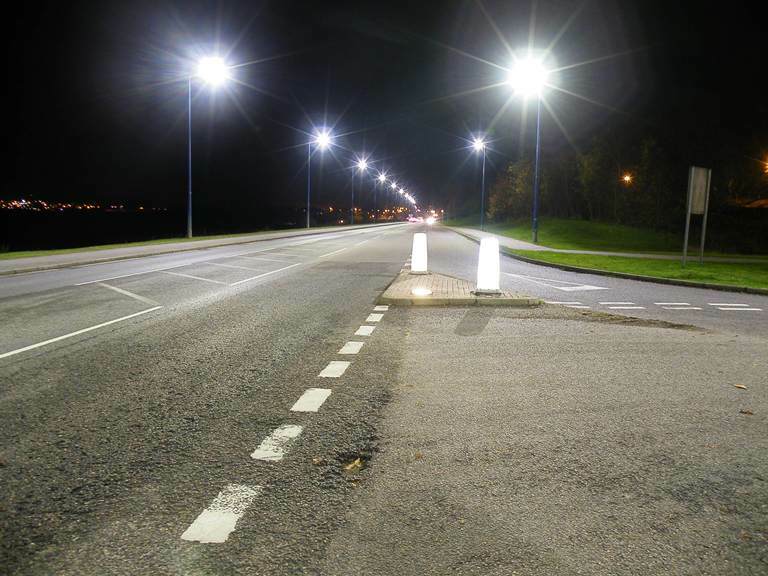 The Highland Council has once again been awarded Super Local Authority status by WWF for its commitment to Earth Hour. An action plan and vision of what a low carbon Highlands would be like by 2025 was welcomed by members of The Highland Council today (Thursday 13 March). Members of the City of Inverness Area Committee have welcomed a number of commitments to, and a vision for Inverness as a Carbon CLEVER City by the year 2025. Work will start at the end of April on the year-long second phase of the scheme. Wildlife enthusiasts met in Inverness yesterday (Wednesday 26 February) to hear about biodiversity work across Highland and share their thoughts on priorities for action in the next five-six years. 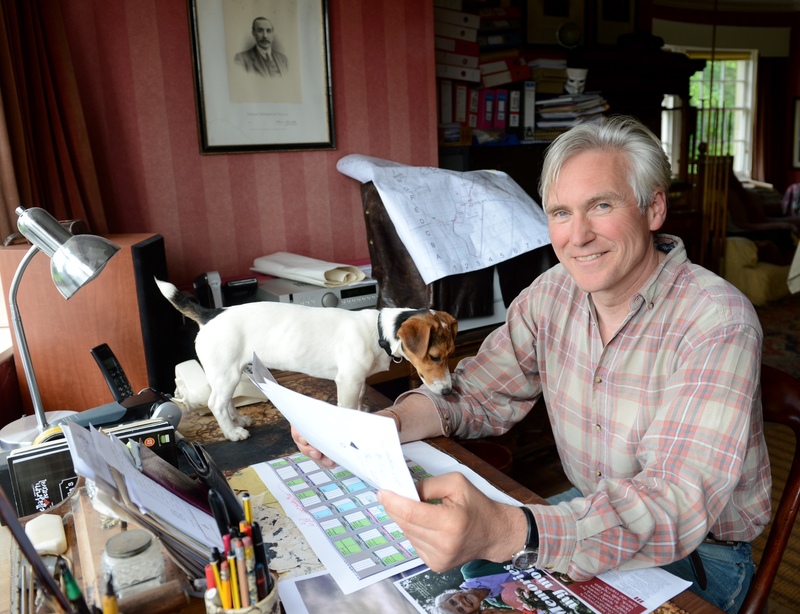 The Highland Council’s Countryside Rangers have launched their 2014 brochure. The Highland Council has organised a drop-in session this Thursday (27th) in Inverness so people can come along to find out how the Council’s Carbon CLEVER Cycles project is planning to increase sustainable travel, make cycling more accessible, and help Inverness become a cycling city. 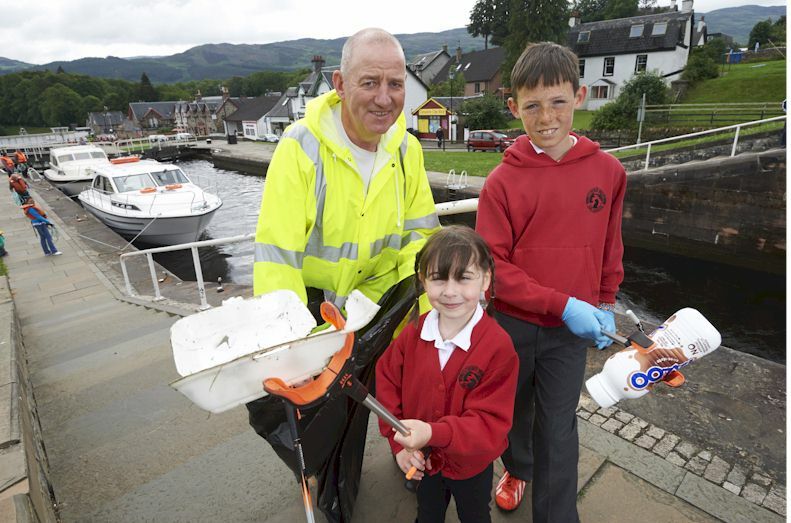 Issued by Keep Scotland Beautiful The Clean Up Scotland Campaign calls for local people to take action ahead of Scotland’s sporting summer. Over 30 residents took part in a Community Clean Up in the Seaboard Villages of Balintore, Shandwick and Hilton last weekend in an effort to improve their local area. The Highland Fisheries Local Action Group (FLAG) has been successful in securing further funding to support coastal communities.